PETALUMA, CALIFORNIA — In April 2012, two weeks into his sixth deployment, U.S. Marine Corps Major Eric Burkett was flying as part of Operation African Lion when his plane crashed in Morocco. 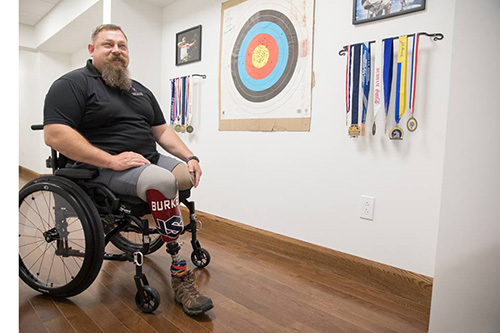 Burkett suffered a number of injuries that eventually resulted in the amputation of both of his legs. Recognizing his service, the Gary Sinise Foundation R.I.S.E. 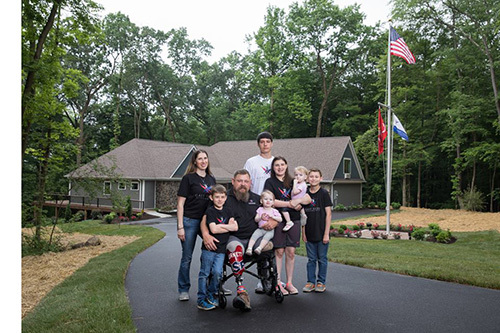 program (Restoring Independence, Supporting Empowerment) built and customized a specially adapted smart home designed to specifically address his needs. 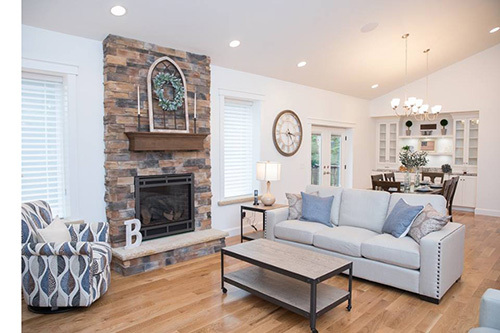 Xtend Technologies integrated a Lutron lighting system, consisting of 27 Lutron Dimmers, into the ELAN platform which allows Burkett and his family to control the lighting inside and outside the home, at the touch of a button. Through ELAN, they were able to program automated scenes for the exterior lights, which automatically turns them off and on at set times throughout the day. For added security, a Door Bird video doorbell announces the doorbell through the home’s 21 SpeakerCraft® speakers and automatically switches the in-wall touch panels to the intercom mode when the doorbell rings. On the ELAN interface, Burkett and his family are also able to check on the status of every sensor throughout the home, allowing them to see if a door is open and where, as well as view the system’s history showing them when the system was armed/disarmed and the location sensor that was tripped. The home entertainment system integrated into ELAN consists of multi-room audio with SpeakerCraft in-ceiling and in-wall speakers, Sunfire® subwoofers in the great room and media room. A Panamax® M4315-PRO BlueBOLT®-enabled power conditioner ensures that all of the equipment runs smoothly and is protected from power spikes and surges. Multiple video zones with ELAN AV over IP distributing the media were also incorporated, which allows Burkett and his family to listen to or view on any of the speakers or TVs in the house on any source they want. Nortek Security & Control LLC (NSC) is a global leader in smart connected devices and systems for residential, security, access control, and digital health markets. NSC and its partners have deployed more than 4 million connected systems and over 25 million security and home control sensors and peripherals. Through its family of brands including 2GIG®, ELAN®, Linear®, GoControl®, Mighty Mule® and Numera®, NSC designs solutions for national telecoms, big box retailers, OEM partners, service providers, security dealers, technology integrators and consumers.